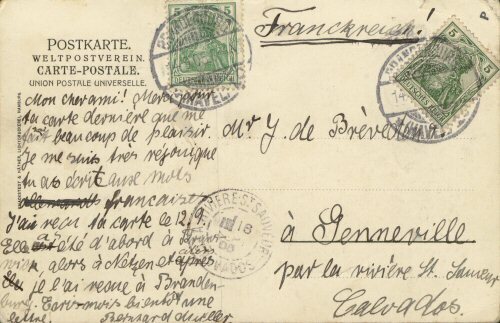 Postally used 14 Sep 1905. Scarce original litho type photographic postcard published by Knackstedt & Nather, Lichtdruckerei, Hamburg - reference no. 228, with an image of the German Battleship S.M.S. 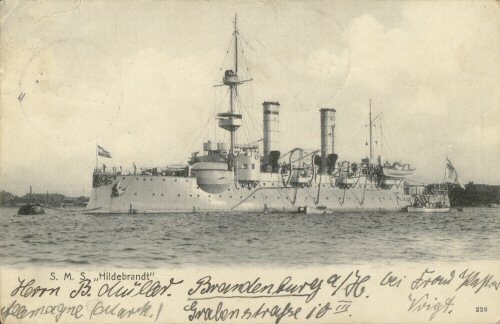 "HILDEBRANDT" off port & moored to a buoy.